TekSynap supports USPTO’s voice and data communication infrastructure requirements, including telecommunications architecture, collaboration architecture, network design, network cabling, network engineering, wireless communications, and telephony. We manage the PBX system, VoIP, voicemail systems, call accounting systems, and video teleconferencing capabilities, secure remote access capabilities, monitoring, reporting on activities and performance, capacity planning of network resources, and advising the IEO Director on recommended actions. The USPTO network infrastructure supports external connections with partners such as Department of Commerce, Department of Justice, etc. 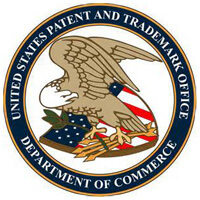 In addition to these external connections with our partners, the USPTO also has relationships and network connections with Department of the Treasury and the National Finance Center. We are also providing network service to six (6) Trilateral Offices.